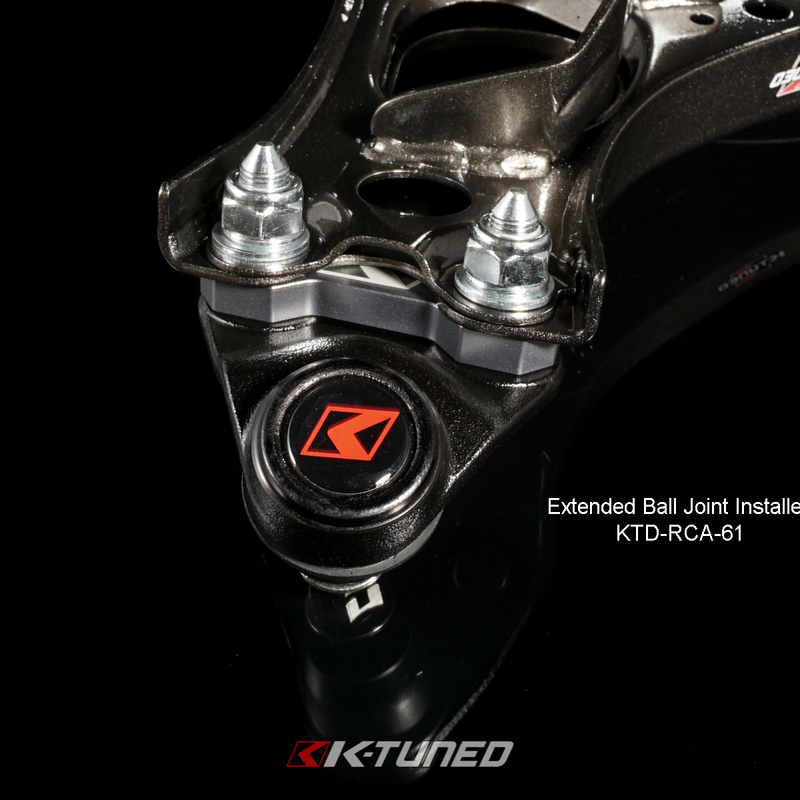 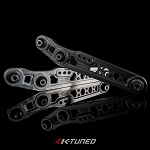 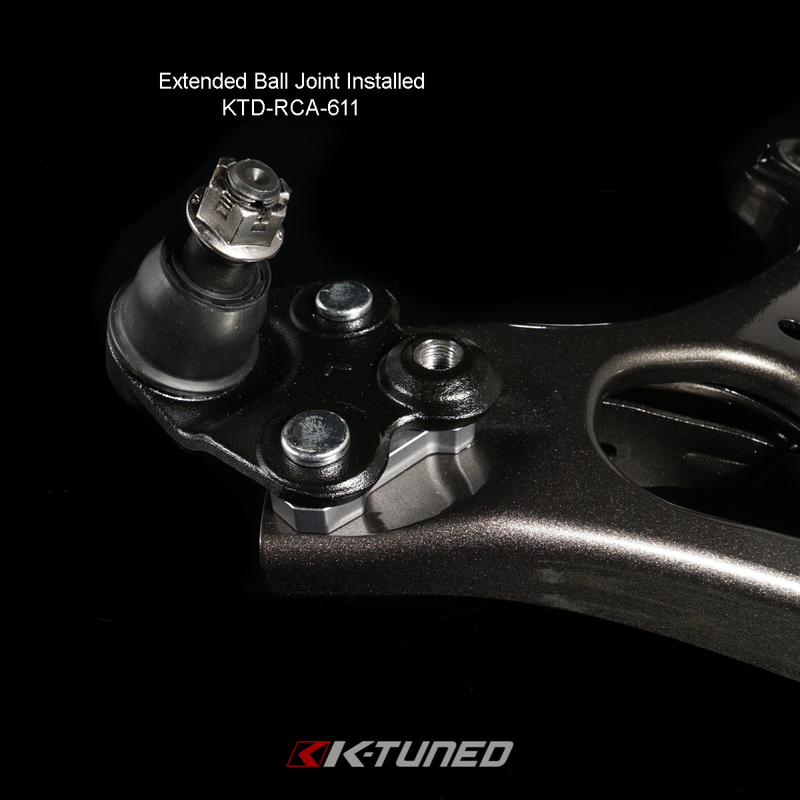 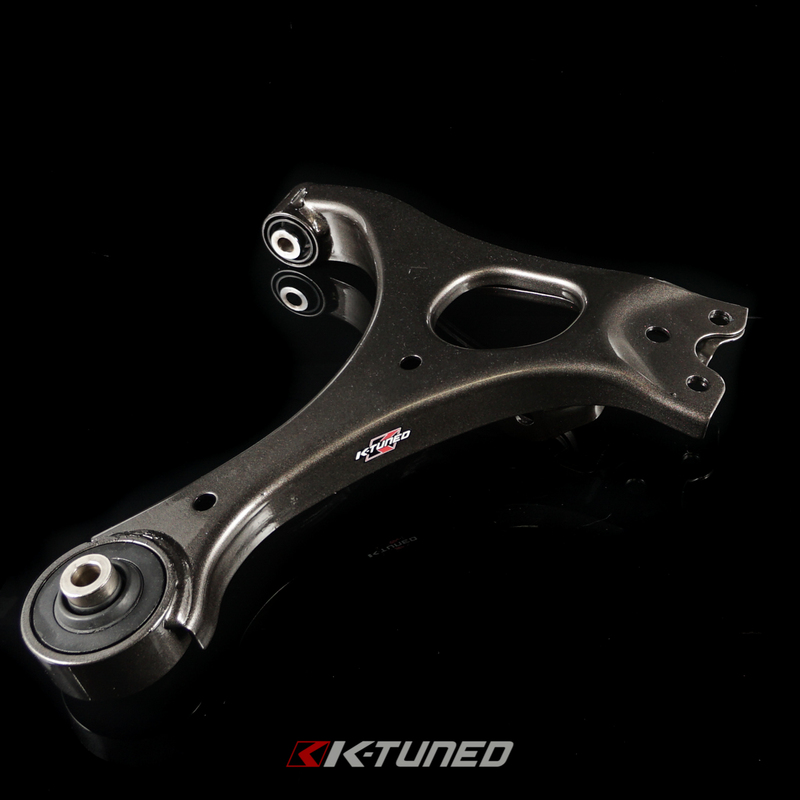 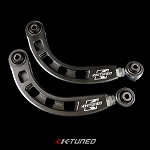 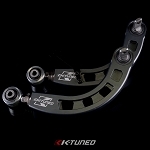 Replacement front control arms with hardened rubber bushing or spherical bushing. 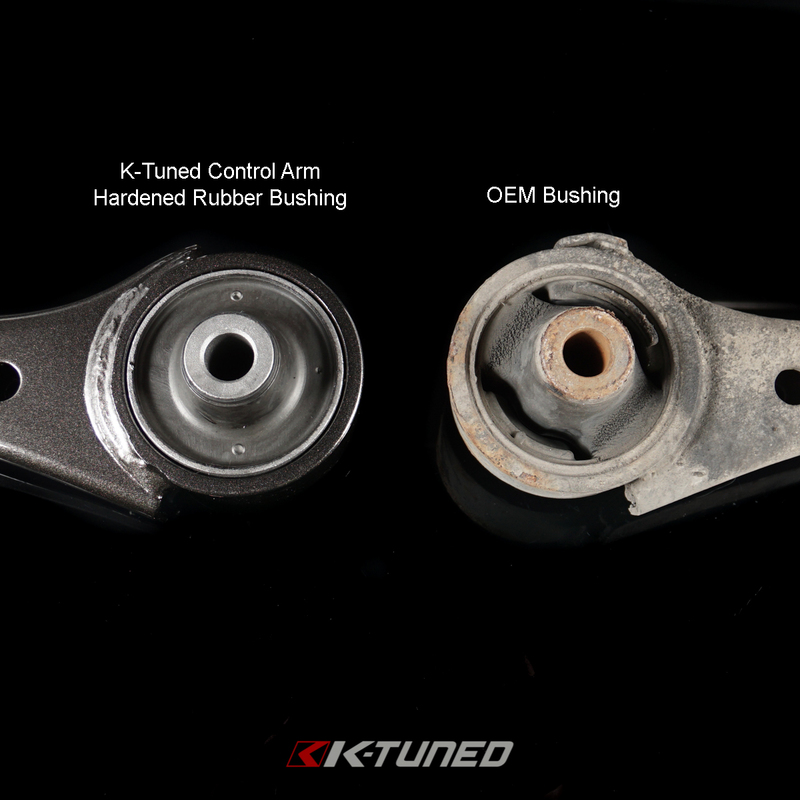 Unlike OEM we use a full bushing to give increased rigidity and strength. 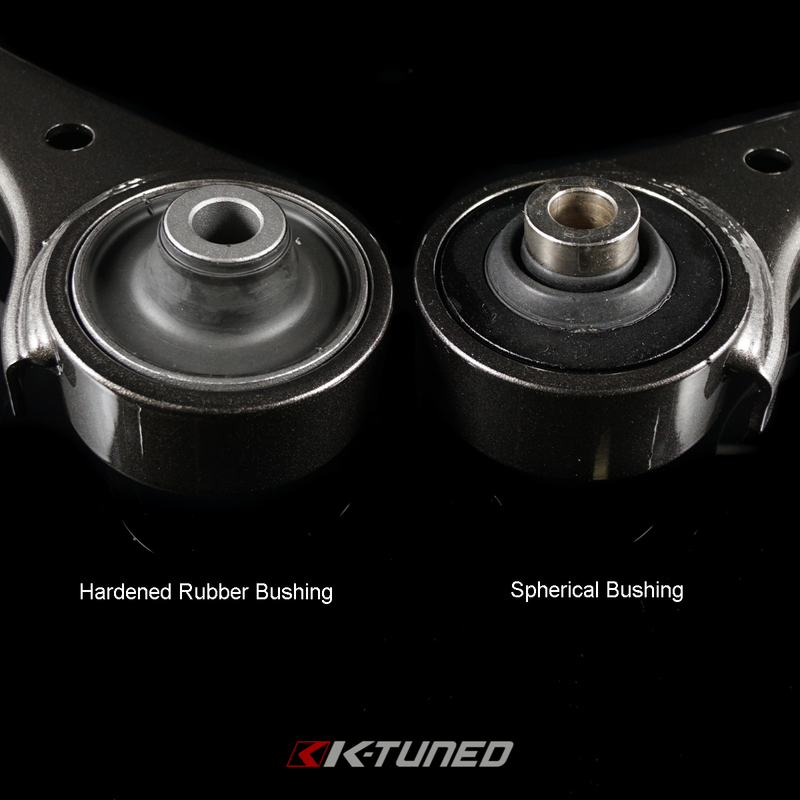 Hardened rubber bushing is best for street cars. 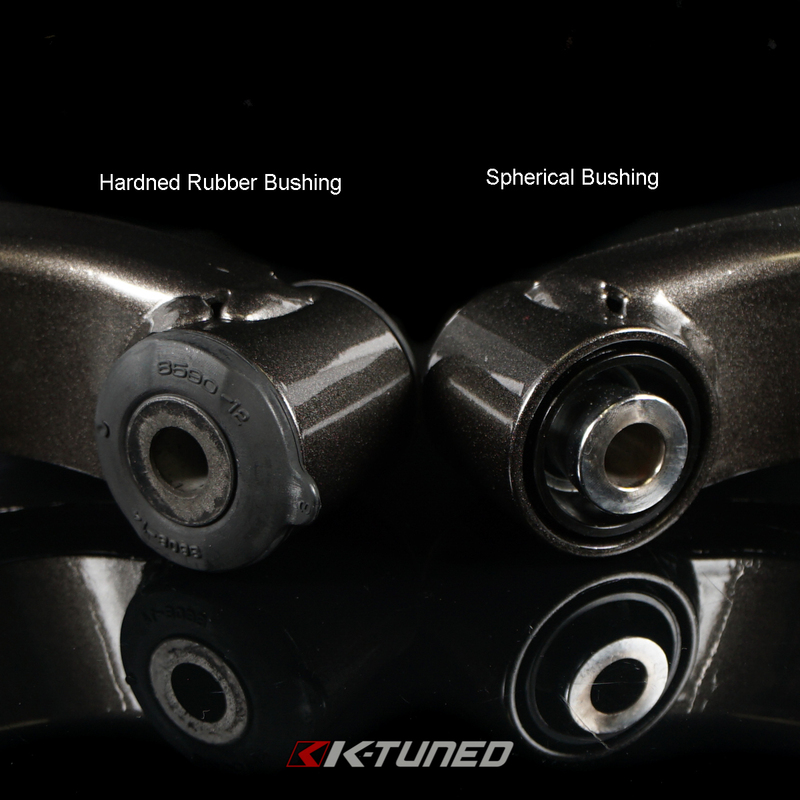 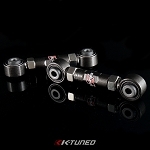 Spherical bushings best for high hp setups and race cars.